To engage: Pull the lever up A .
CVT models: Move the shift lever to the P (Park) position. 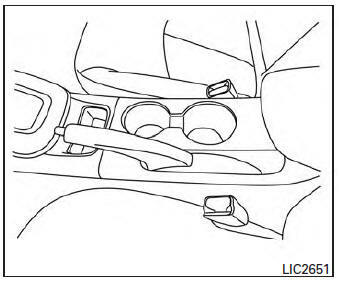 While pulling up on the parking brake lever slightly, push the button and lower completely B .